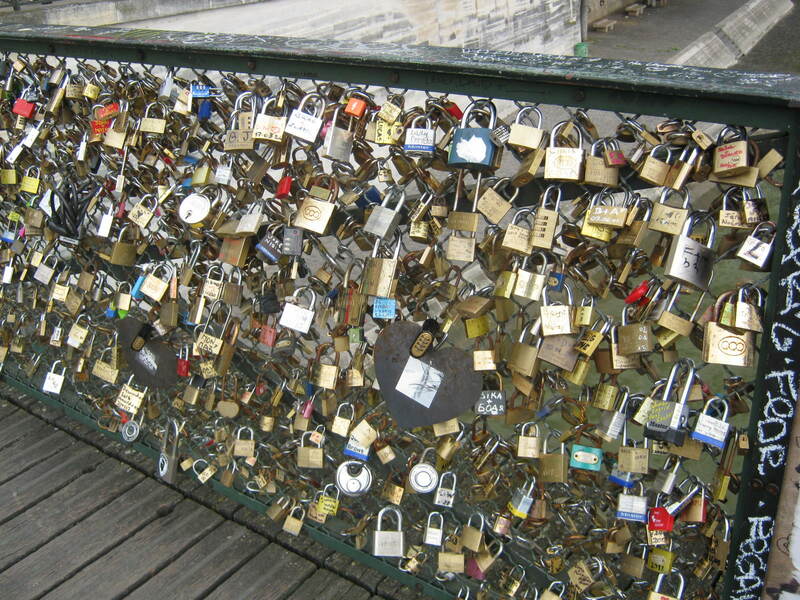 so many parts of the bridge have collapsed due to the weight of the locks, they are considering banning the practice. I saw that recently in the news. It would be a shame but the bridge needs preserving just as much. they really do, being older than the padlocks and matches that are made….I’m sure someone could come up with some kind of non-obtrusive reinforcement for the locks.